If you believe some of the clickbait headlines, automation is going to be the doom of the accounting field. Software solutions will soon be taking over these roles, leading to mass layoffs throughout the industry. While much of what the articles share is designed to share, they also don’t reflect reality. Automation is actually poised to be a positive for accountants. Here’s why. The day of an accountant is often filled with repetitive and tedious tasks. This an include anything from entering the same data into multiple systems, reconciling account details, or other duties that tend to be monotonous. However, thanks to automation, these less than engaging activities can be handled by sophisticated software solutions. Instead, of repeatedly entering the same figures into multiple systems, automation can populate the data. Other tasks, like categorization, can potentially be handled with the click of a button, allowing the system to use pattern recognition to manage that work. By and large, an automated solution will be more accurate than a person entering the same data. Since software will simply replicate what is given or complete calculations as instructed, the change of mistyping a number is essentially zero. This can dramatically reduce error rates across the board. Similarly, if mistakes are found, any errors resulting from the incorrect data can be located and corrected quickly. The software can scan connected records and make updates, ensuring every subsequent mistake is handled promptly. One of the benefits of using automation involves enhanced productivity. Software solutions can operate 24/7, allowing activities like data analysis and recording to be completed at any time, regardless of whether an employee is present. As a result, certain project timelines can be dramatically shortened, increasing the overall pace of business. This can give accounting firms and departments a distinct advantage, allowing them to do significantly more in the same amount of time. By eliminating repetitive tasks and reducing error rates, accountants will actually be empowered to focus in new areas. Any activity that requires creative thinking, problem-solving, or the use of personal experience to make a judgment will be a larger portion of an accountant’s day, increasing engagement based on the new area of focus. For example, many accountants will be able to step into a more advisory role. Since they won’t be tasked with as much data entry, they can spend more time identifying and analyzing solutions to complex problems. While automation is powerful, it can’t take over every duty accountants have to manage. Instead, it creates an opportunity to shift priorities into more interesting areas. As a result, companies can potentially derive more value from each accountant they hire, as there will be additional space for innovation and customer service, both of which can reap dividends. Ultimately, automation is more likely to be a positive in the world of accounting. 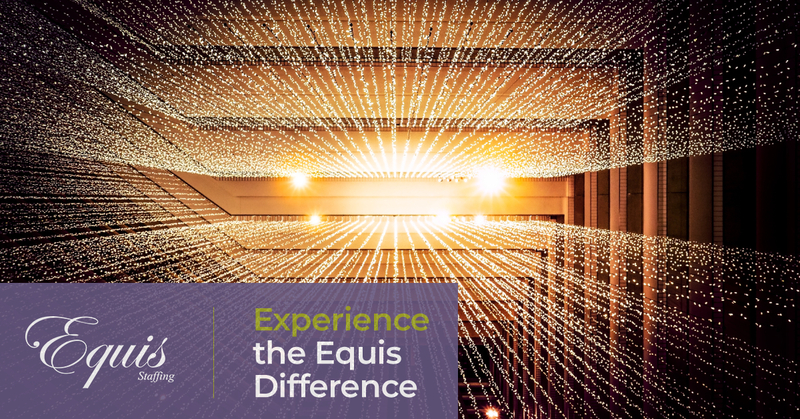 If you’d like to learn more about how emerging technologies can benefit your business, the team at Equis Staffing can help. Contact us to find out about the impact of the latest tech today and see how our workplace solutions expertise can benefit you.